Last week, Samsung got on stage and demonstrated what it can do with its newly-announced Infinity Flex screen that can bend in the middle while working without image deterioration in unfurled state afterward, and do it hundreds of thousands of times. The company will allegedly use it as a basis for its foldable phone that is expected to hit shelves in the spring. The Infinity Flex device prototype that Samsung folded under the limelight, however, may not be what its bendable phone is ultimately going to look like at all, reports Korean media today. To achieve the folding effect, Samsung needs some type of external hinge separating the device that will likely take the form of a stretchy, corrugated material. 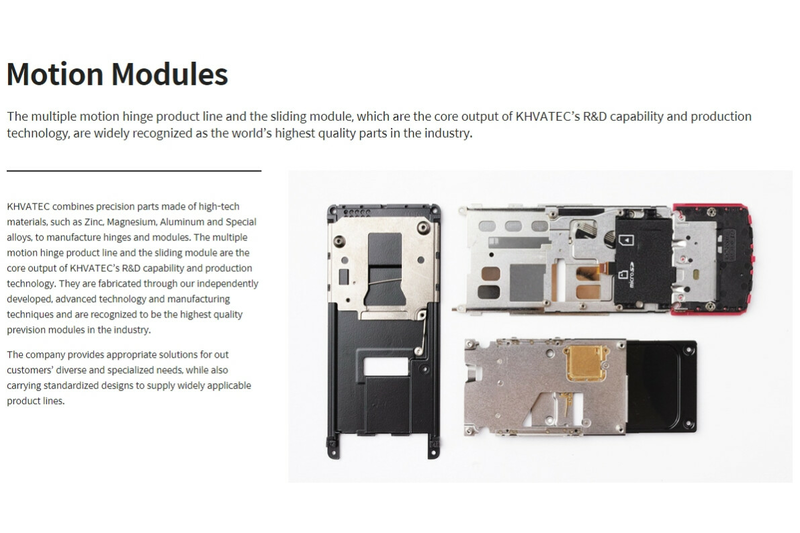 The hinge is to be produced by the specialists from KH Vatec, and the supplier has allegedly presented no less than five models to Samsung. The Korean giant is yet to take a final decision on its end design options, though. Thus, the foldable phone may end up being a side-opening affair like the folio prototype shown on stage, but it could also go top to bottom like an oldfashioned flip phone. Two of the five hinge designs have the most chance to end up in Samsung's first F-series phone, but mum's the word on which exactly. KH Vatec has to ensure that the two opposite ends of the display meet in a folded state, so that the whole device is more durable during falls, tip the sources. It has also developed hinges that open in stages, like your laptop screen that can be adjusted to your viewing angle and is released with a push button. Whether or not that option will be deployed by Samsung apparently depends largely on how fast Google can adapt the Android interface to the new foldable phone realities, and we can't wait to see what the Gumby phone will end up looking like.